An ultra-rich phytonutrient moisturizer designed to combat dry skin and reduce the signs of premature aging. Apply over damp face and throat with light, upward strokes. Use twice daily, morning and night. 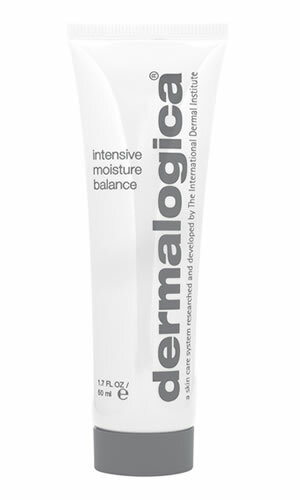 Can be applied over or mixed with prescribed Dermalogica Concentrated Booster for additional results. Ideal for clients looking for a thicker cream. Antioxidants help prevent daily damage caused by free radicals. Strengthens skinÕs lipid barrier to help prevent moisture loss while smoothing the appearance of fine lines. Retinol (Vitamin A): helps increase skin elasticity and helps reverse the signs of prematurely-induced photoaging. Ascorbyl Palmitate (Vitamin C), Tocopheryl Acetate (Vitamin E) and Ginkgo Biloba: help prevent daily damage caused by free radicals. Echinacea Purpurea (Coneflower), Hydrocotyl, Vitis Vinifera (Grape) Seed and Dioscorea Villosa (Wild Yam) Root: help repair prematurelyaging skin, leaving it soft and supple.